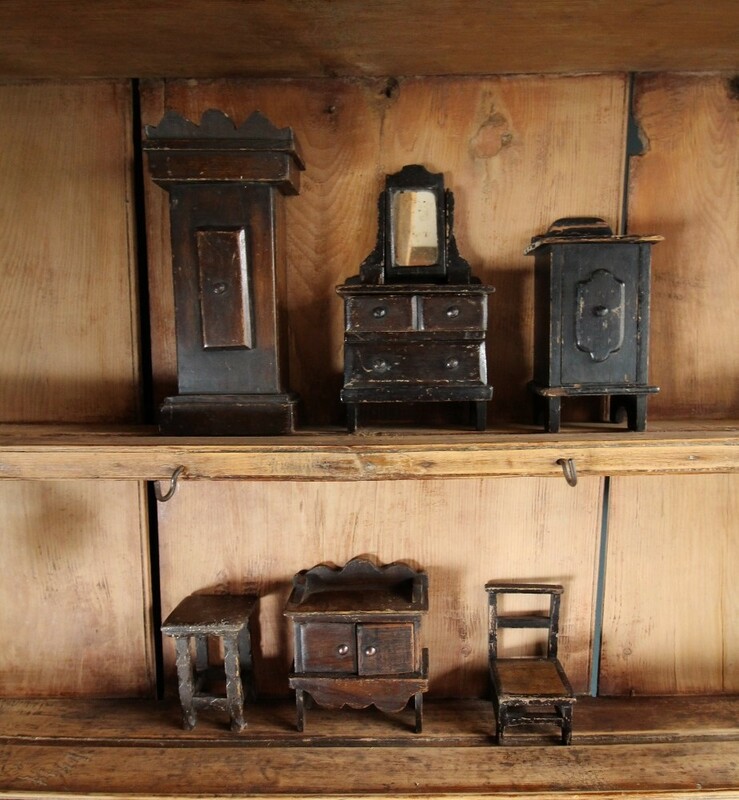 19th century homemade miniature furniture . 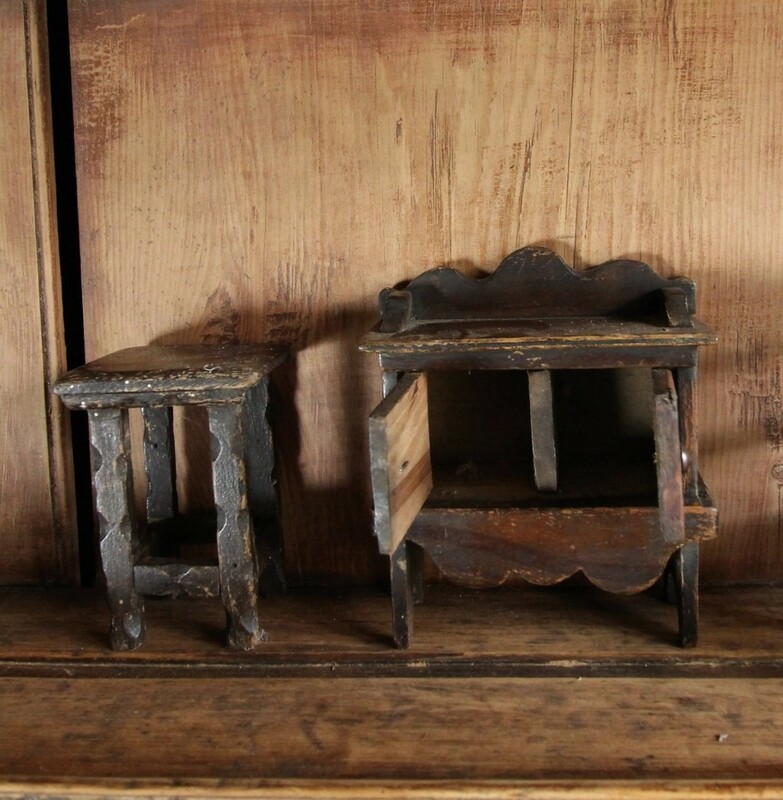 Six country homemade pine dolls furniture , charming and folky . 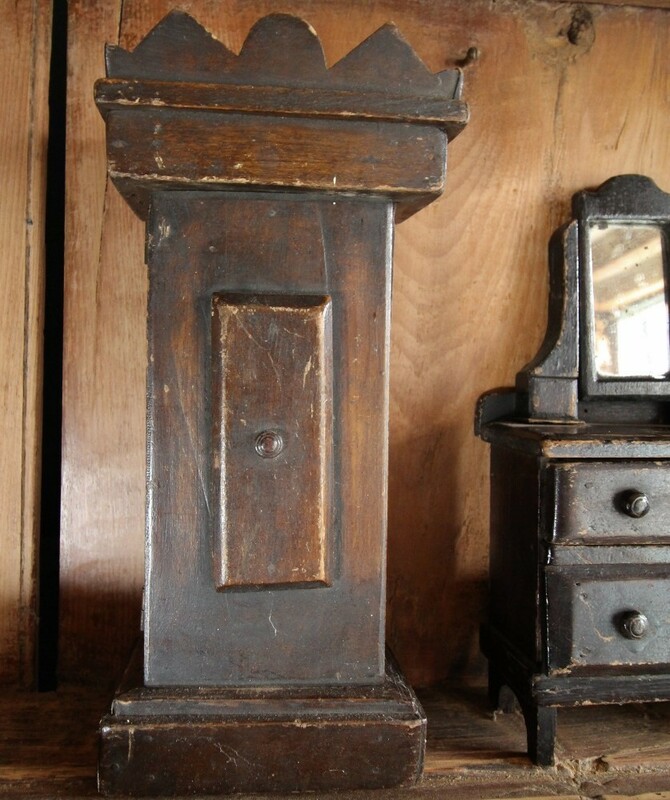 Huge English country house pine dresser base .